vestment (RFI) made positive contributions to GDP growth, adding 0.4% to growth in the fourth quarter and 0.3% for the year for the first year since 2005. Housing starts are projected to increase by 22% in 2013 and Existing Home Sales are expected to gain momentum. There were two interesting reports on housing affordability and investment in Atlanta. The first article by MarketWatch based on the NAR Housing Affordability Index ranks Atlanta as the 5th most affordable city/metro area. Decatur (IL), Detroit area, Lansing (MI), and Toledo (OH) are the other four cities mentioned in the report. In another article, Bloomberg Businessweek discusses the study done by Mr. Dan Immergluck, a professor at Georgia Institute of Technology on Atlanta investors. Investors reported spending between $19,000 and $70,000 and expecting an annual rate of return between 8% and 15%. Further, the investors mentioned that two most challenging aspects are the buying process, and property management. This is where exactly HomeUnion® fits in by facilitating the process through certified property providers at no added cost to the investor! The property providers sell renovated homes and manage the properties letting the investors receive their monthly cash flow from rental income. Federal Reserve Bank of Atlanta has reported that key industry sectors gained momentum in employment in the last quarter of 2012. The Bank also tracked and reported the momentum mostly to be in “Expanding” quadrant since August 2010. RealtyTrac US Foreclosures Report for January 2013 reported a total of 150,864 foreclosure filings, a decrease of 7% compared to the previous month’s figure. The number is down 28% on a year-over-year basis. Florida is the state with the highest number of foreclosures followed by Nevada and Illinois. National Association of Realtors reported that the national median existing single family single family home was $178,900 in the fourth quarter of 2012, which is a 10% increase compared to the fourth quarter of 2011. This is the strongest increase since the fourth quarter of 2005. Overall, the median single-family home price increased in 133 out of 152 metropolitan areas. Freddie Mac’s 30-year fixed-rate mortgage averaged 3.53%, and 15-year FRM averaged 2.77% for the week ending February 14, 2013. 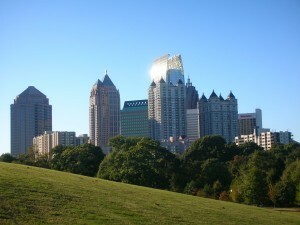 Interested in Atlanta, Georgia Real Estate Investments?